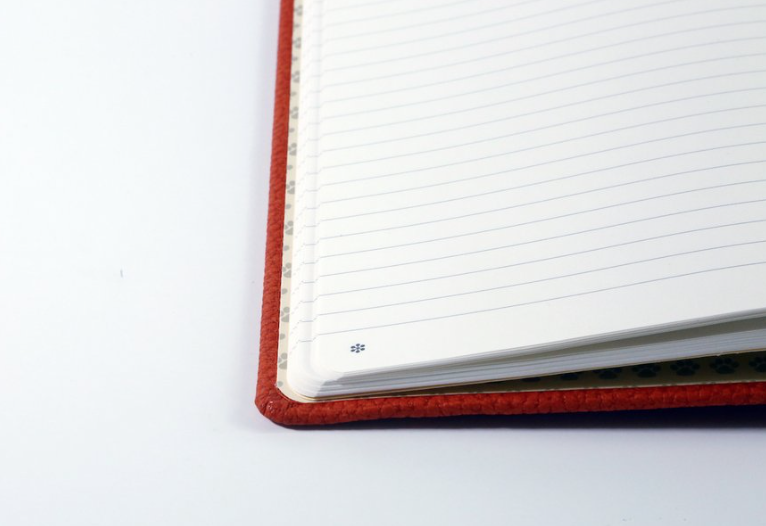 Their notebooks can be used as an executive notebook, bullet journal, writing pad/diary, notepad, and sketchbook. Whether you are an artist, designer, fountain-pen enthusiast, bullet journalist, business person, student or literally anyone else, a notebook should always be your companion for jotting down what's on your mind. 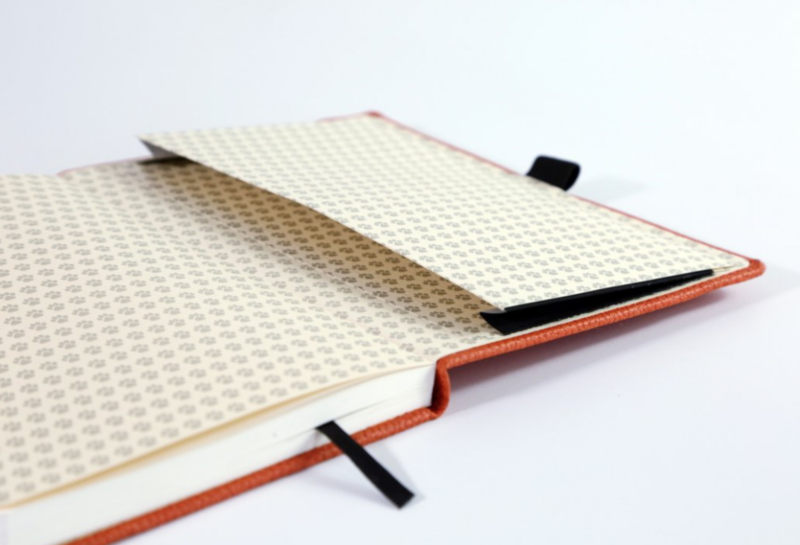 This Notebook is the latest addition to the Signature collection. 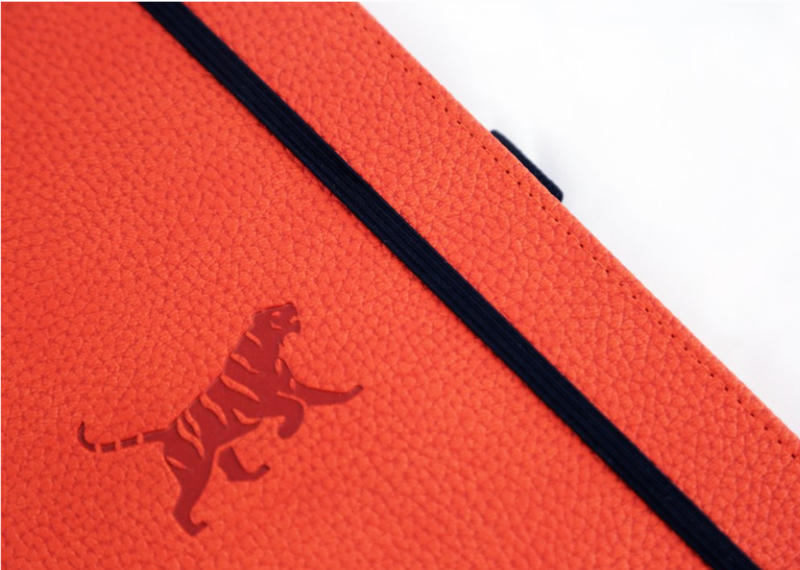 Each notebook has a hardcover bound with PU leather (100% vegan) with a tiger finely debossed on the cover. 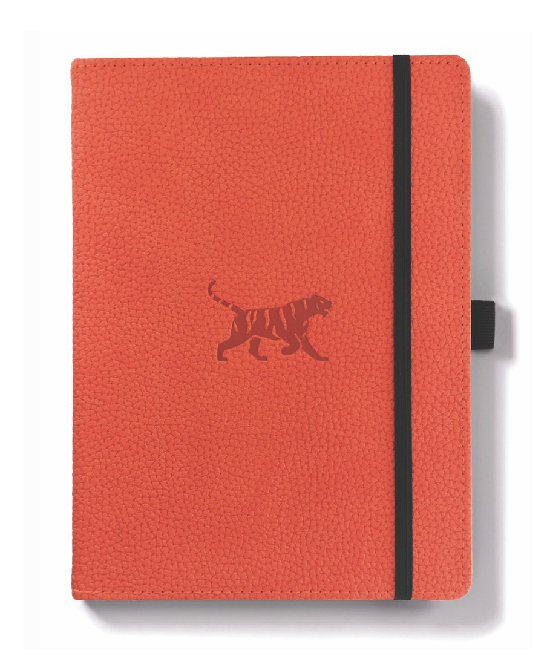 Printed on the inside cover of the notebook are tiger pawprints that are so cute, you just want to tickle them. The paper? Well, Dingbats are the oldest established paper company in Lebanon and the region, they know a thing or two about paper. Each page of 100gsm silk cream acid free fountain-friendly FSC-certified paper is micro-perforated with a total of 96 sheets or 192 pages. And the notebooks open as flat as a pancake. Of course they have an inner pocket, bookmark and an elastic closure! Oh, almost forgot to mention the pen holder, just perfect! 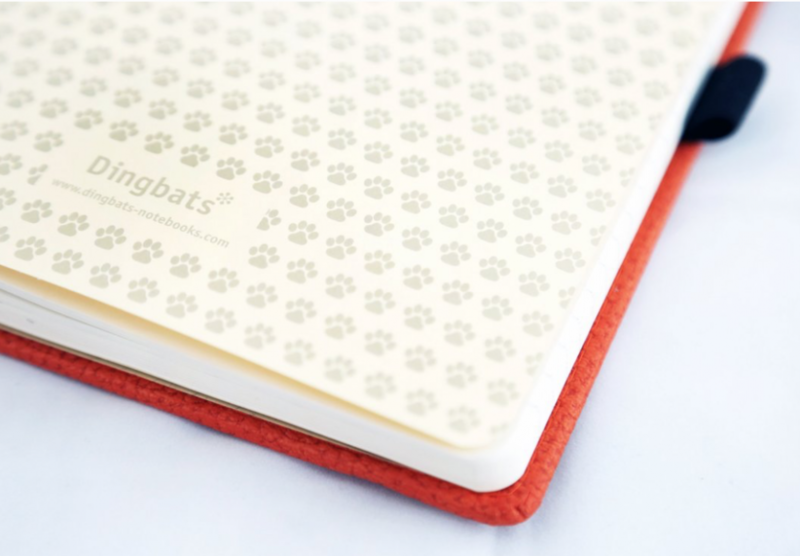 Dingbats* is an eco-friendly brand of notebooks developed in a masterful consideration of materials and design. 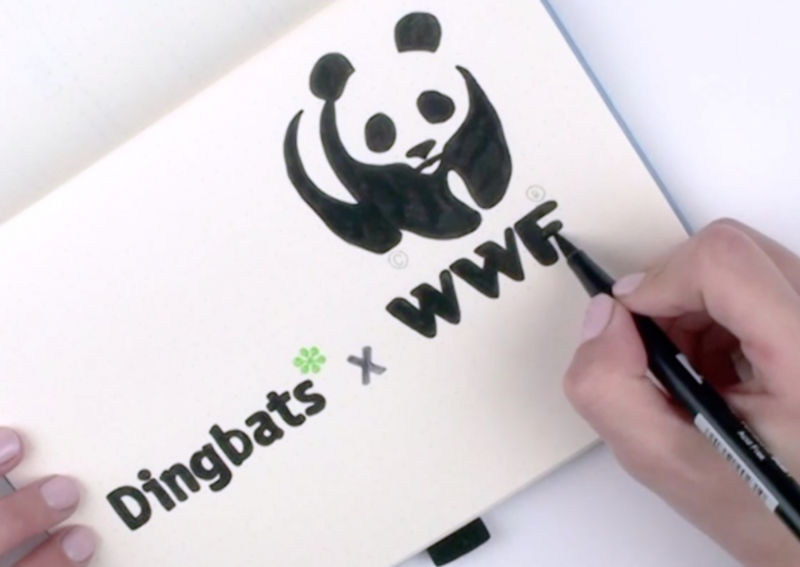 Dingbats* are hand-made notebooks with personality represented by minimalistic ornamental motifs with sound environmental credentials including the mark of the Forest Stewardship Council. All materials used are degradable, vegan and recyclable. To learn more about our environmental credentials and dedication to the environment, click here.